Hot in the wheel tracks of the new Polo Vivo, Volkswagen South Africa has revealed the latest version of the Polo Vivo Maxx. 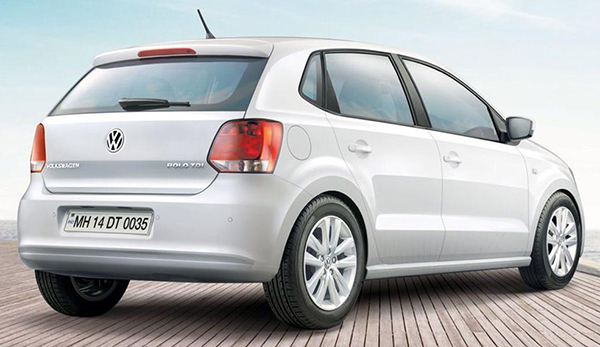 Just like the previous model, the latest Polo Vivo Maxx is based on the most recent version of the Cross Polo, in this case the superceded fifth-generation car. Only available as a five-door hatchback, the new Polo Vivo Maxx is powered by a 104bhp / 77kW 1.6-litre, four-cylinder engine, mated to a five-speed manual gearbox. Looking for all the world like the previous-generation Cross Polo – even right down to the same 17-inch ‘Canyon’ alloy wheels and ‘Honey Orange’ paint colour. Differentiated by its raised 15mm ride height, silver exterior mirror caps and roof rails, chrome exhaust trim and ‘Maxx’ sticker on the tailgate and rear doors, not to mention the lower body plastic cladding, the 2018 Polo Vivo Maxx is obviously not the same as its regular Polo Vivo relatives. Inside, there are aluminium pedals, front electric windows, manual air conditioning, a multifunction steering wheel, and six-speaker radio with SD / USB / Bluetooth / App Connect connectivity. Thanks to the upgrade to the fifth-generation Polo base, the latest Polo Vivo Maxx gets similar safety kit to the standard Polo Vivo. Central locking, driver and front passenger airbags, ABS with EBD, Electronic Stability Control (ESC), front fog lights, a tyre pressure monitor, ISOFIX child seat mounting points, an immobiliser, and an interior ultrasonic alarm with motion sensor are standard. , and comes as standard with a three-year / 120,000km warranty and six-year anti-corrosion warranty. Service intervals are set at 15,000km, while customers can also tailor their package with the optional Volkswagen Automotion Maintenance Plan and Volkswagen Automotion Service Plan. The best-selling passenger car in South Africa during 2017, the over 22,000 Polo Vivos were sold last year. Manufactured at the Volkswagen South Africa plant in Uitenhage, over 11,000 second-generation Polo Vivos – based on the fifth-generation Volkswagen Polo – have been built since February. 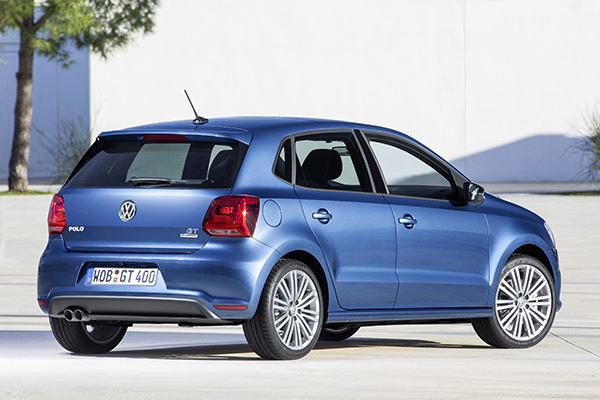 Volkswagen South Africa celebrated the 500,000th Polo to be produced at its Uitenhage factory on 22 October. 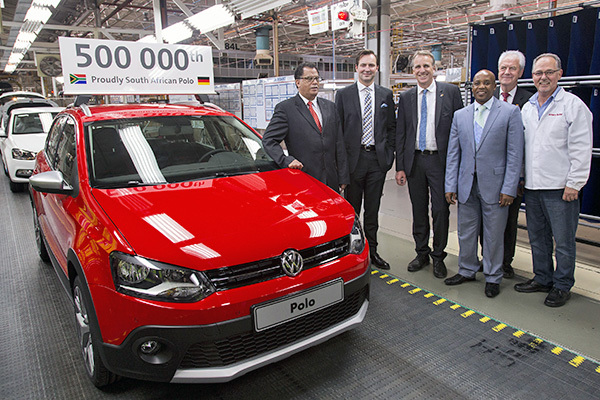 The jubilee car – a Flash Red Cross Polo to be shipped to an Austrian customer – was met by a number of dignitaries, including the Managing Director of Volkswagen Group South Africa, Thomas Schaefer. ‘We have also exported over 390,000 vehicles since 2009, with the Uitenhage plant being the worldwide sole supplier of the Cross Polo derivative which coincidentally is the 500,000th vehicle to be manufactured today,’ commented Schaefer. ‘Since being launched in the South African market in January 2010, the Polo has consistently been the second best-selling passenger model after Polo Vivo. We are extremely proud to reach this milestone as 2015 also marks 40 years since the very first Polo was manufactured in 1975 in Germany,’ he added. 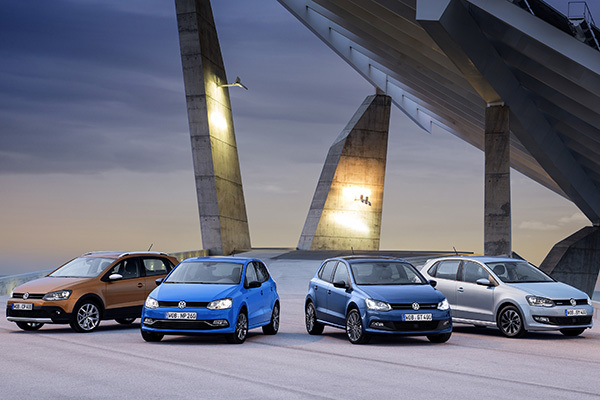 All five-door Polos for right-hand-drive markets including Britain, Ireland, Japan, Singapore, Malaysia, Australia and New Zealand are produced at the Uitenhage plant. The South African-built Polo built has received notable recognition, including the 2011 South African Car of the Year and 2010/2011 Japanese Import Car of the Year. Uitenhage is scheduled to build over 85,000 Polos this year. Volkswagen India launched a petrol version of the SUV-styled Cross Polo this week, powered by the standard Polo’s 1.2-litre MPI engine. The 74bhp unit develops 110Nm of torque (81lb ft) at 3,750rpm. Price is Rs 6.94 lakh (ex-showroom, Mumbai). Previously, the Indian variant of the Cross Polo was only available with a 1.5-litre 89bhp TDI engine. As with the TDI version, the MPI’s equipment count is high. Standard Cross Polo features include 165mm of ground clearance, alloy wheels with 185/60 R15 tyres and tough-looking body styling including roof rails, rugged front and rear bumpers, door cladding, and skidplates front and rear. Standard kit includes ‘Climatronic’ automatic air-conditioning, speed-sensitive electronic power steering, multifunction steering wheel, remote control central locking, electric windows, CD/MP3 with USB/Aux-in/SD card input and 4 speakers, Bluetooth connectivity, rear parking sensors, as well as a monochrome multifunction display. Among the Cross Polo’s Indian competitors are the Toyota Etios Cross and the Fiat Avventura. Order books for the new MPI version are open now. While most of Europe was asleep last night, Volkswagen unveiled more variants of the refreshed Polo range which was seen for the first time last month. Due to take world premiere starring roles on the Volkswagen stand at the Geneva motor show next week, the New Polo BlueMotion, BlueGT and CrossPolo have all now broken cover. Let’s take the new variants one by one. The big news here is the new petrol-powered Polo TSI BlueMotion. A new 1.0-litre 89bhp three-cylinder turbocharged engine carries the new car onto a claimed official fuel consumption figure of 68.9mpg and emissions of 94g/km. The new petrol version of the BlueMotion will be launched later in the year and will be the only BlueMotion model sold in the UK. Europe on the other hand will receive a TDI BlueMotion with a new 1.4-litre three-cylinder TDI engine. With 91.1mpg mooted, Volkswagen claims makes it the most fuel-efficient five-seater car in the world. Emissions are equally impressive at 82g/km, while power is the same as the outgoing model at 74bhp. Range is said to be 900 miles from its 45-litre fuel tank – enough for a drive from Flensburg near Denmark to Venice! 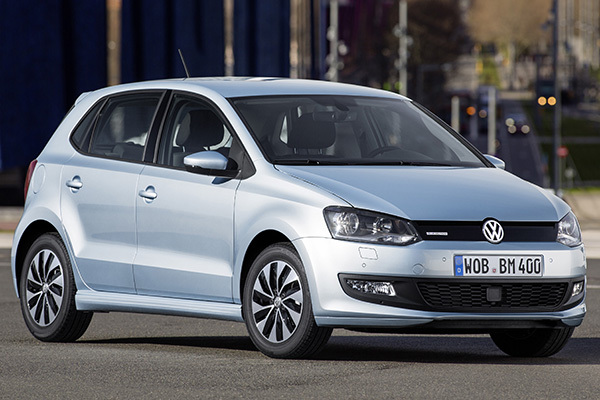 Both TSI and TDI BlueMotion models gain a revised aerodynamic body kit and underbody panels. A burnished radiator grille insert and newly-optimised front and rear spoilers feature, with the rear spoiler swapping its trademark Mk 2 Polo appearance for a much more subtle affair. New 15-inch ‘Buenos Aires’ alloy wheels are fitted to the BlueMotions, while the new ‘Clearwater Blue Metallic’ colour is an exclusive BlueMotion shade. As before, chrome accents and special upholstery feature inside. Looking largely similar as the outgoing model, the New Polo BlueGT boasts 10bhp more than before, so the lightly revised 1.4-litre engine now develops 148bhp. Sitting below the forthcoming GTI, the BlueGT has active cylinder management (ACT) which shuts off two cylinders during light engine loads and speeds. Six-speed manual and seven-speed DSG gearboxes are as before, while 58.8mpg and 110g/km of CO2 are said to be achievable. Styling tweaks include a 15mm suspension drop, smoked tail lights, 17-inch alloy wheels, refreshed bumpers and side sills and a new rear spoiler. The interior features a multifunction display with ACT indication, cruise control and sports seats. As before, the New CrossPolo will only be sold in selected markets, and won’t come to the UK. Gently restyled front and rear bumpers over the old car mark out the new model, and silver door mirrors now come with every version. Two new colours, ‘Honey Orange’ and ‘Titanium Beige’, smoked rear lights and new 17-inch “Canyon’ alloy wheels add the finishing touches. Inside, the New CrossPolo features exclusive, more hardwiring and rugged fabrics on its sport seats, a new steering wheel as well as the new instruments and centre console featured on all New Polos. H7 headlights with optional bi-xenons also mark out the rejuvenated faux-SUV Polo. Initial engine choice will be made up from three petrols and three diesel units with power outputs from 74bhp to 108bhp. All feature a stop-start system and battery regeneration and all meet EU-6 emission standards. As detailed at the international launch, standard on all versions of the New Polo is a revised electro-mechanical power steering system which, Volkswagen says, increases performance and comfort perceptibly. The Sport Select chassis with electrically-adjustable dampers is also new making its Polo debut, but is not available with BlueMotion or CrossPolo models. Other New Polo highlights include an Automatic Post-Collision Braking System as standard and optional Front Assist with City Emergency Braking. New touchscreen infotainment systems also feature and the New Polo is the first Volkswagen with MirrorLink. As well as distinctive and separate mode lines, the European New Polo Comfortline and Highline are available with sporty customisation, courtesy of the new R-Line programme. Much as before, exterior and interior customisation is key here, with sports-styled front and rear bumpers, 16-inch ‘Salvador’ alloy wheels (with another 16-inch and three 17-inch designs available), sports seats and steering wheels all being part of the R-Line package. The R-Line is conspicuous by its absence in that it played no part in the newly-released New Polo family portraits. Prices for the New Polo in Germany start at €12.450 for the three-door 59bhp Trendline model, while a limited-edition ‘Fresh’ model with the same number of doors and power retails at €16.075. Featuring special equipment and ‘Cornflower Blue’ paintwork, the Polo ‘Fresh’ is available for a limited time. 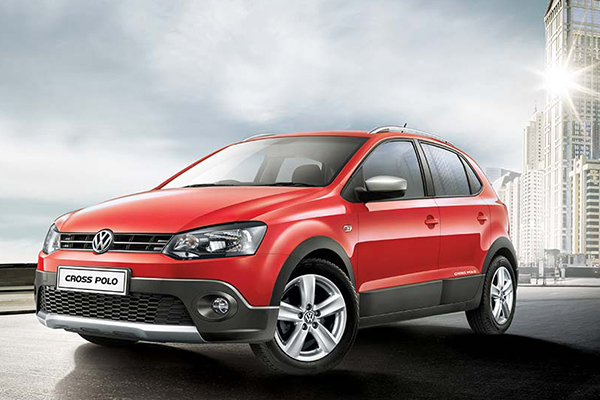 UK prices and specifications will be announced when the New Polo is released for ordering in April. First deliveries are expected in July. 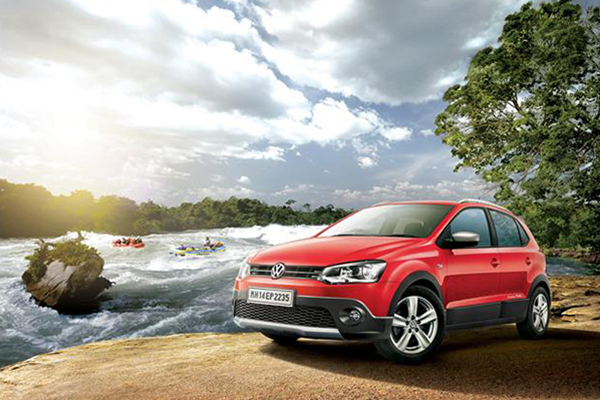 Volkswagen India has today launched the latest Polo variant, the GT TDI. Mooted for some time, the five-door hatchback packs the same 1.6-litre TDI engine as its saloon sister, the Vento. With 250Nm/184lb ft of torque and 104bhp, the Polo GT TDI is the most powerful diesel hatchback in its market segment. Volkswagen India says that it has been ‘engineered to provide unmatched performance combined with excellent fuel economy. The Polo GT TDI is available with the same equipment and trim as the 104bhp 1.2-litre GT TSI. Highlights include: 15-inch ‘Estrada’ alloy wheels; ‘GT’ chrome grille and rear badges; leather-wrapped steering wheel (multifunction), gear knob and handbrake lever handle; ‘Climatronic’ automatic air conditioning; and RCD 320 music system with USB, aux-in, SD Card, Bluetooth and four speakers. It comes in a choice of three colours, which incidentally, are the same as the Mk 1 Golf GTI: Flash Red, Candy White, and Deep Black. Prices start at Rs 8.08 lakh (ex-showroom Delhi). It’s the latest in a line of Polo models to be launched in India. The Cross Polo (note the space in-between the two words) is also now available to Indian buyers, priced at RS 7.75 lakh (ex-showroom Delhi). Powered by a 1.2-litre 74bhp TDI engine driving the front wheels, the Cross Polo looks identical to the model sold in mainland Europe. 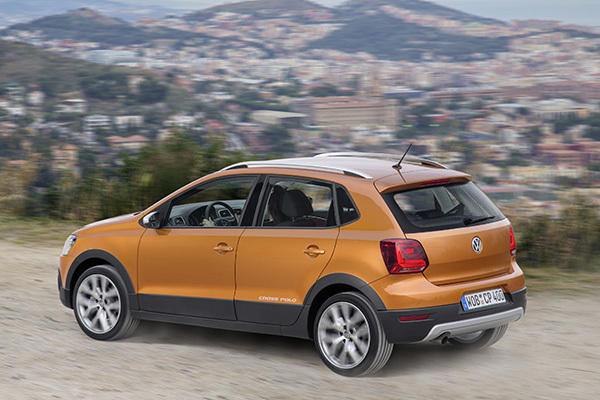 Launched on 23 August, the Cross Polo gets off-road styling cues including 15-inch alloy wheels, plastic lower body cladding, unique bumpers, and silver roof rails and door mirrors.